Did you know that 60% of students suffer from stress that impairs their exam performance? Have you walked out of the CPA exam knowing fear negatively impacted your score, even though you studied hard and felt confident about your technical knowledge going into the exam? The Performance under Pressure Audio Bundle teaches you how to properly control your fear response when faced with CPA exam stress to boost your test score! Perform at your very best on exam day and tap into your brain's ability to problem solve with higher order processing. How? Using a gentle, but powerful technique that will reshape the way your brain responds to pressure. 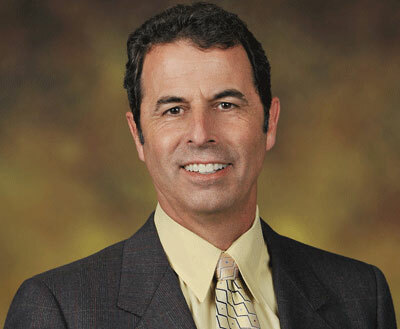 Dr. Marc Schoen has over 30 years of experience studying the mind-body connection with an emphasis on boosting performance and resilience. He has studied the part of the brain that is responsible for performance when in uncomfortable and competitive situations. He has worked extensively with elite athletes (both professional and college), UCLA medical students, and high-powered executives to excel in challenging conditions, strengthening their ability to thrive under pressure. Yaeger CPA Review is very excited to partner with Dr. Schoen to bring his expertise to you with a customized program designed specifically for CPA candidates. If you have ever scored below a 75 on the CPA exam, did any of the following play a role? If you said yes to any of the above, this audio bundle will — based on clinical research and neuroscience — retrain this region of the brain to now react to discomfort without triggering the fear center. Students who have used this audio bundle already to prepare for their exams have found it has helped them feel more positive about the exam process and more prepared to sit for their exams. Others have said it increased their mindfulness and focus, which helped them perform under pressure. 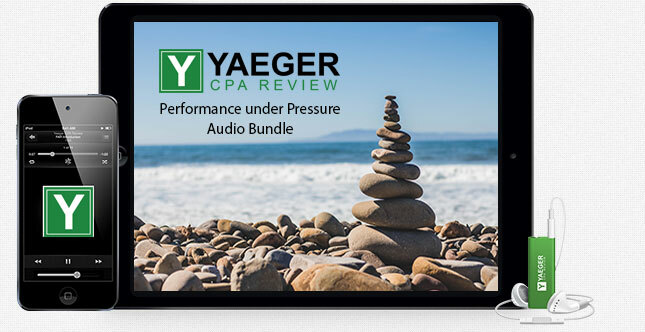 The Performance under Pressure Audio Bundle teaches you how to properly control your fear response when faced with CPA exam stress! Train both your mind and body for CPA exam success with an integrated study experience. Be reminded while using our AdaptaPASS software when to practice these research-based techniques founded in cutting edge neuroscience.